Don't miss out, make the most of The Suzuki Weekend! What's in it for you? Savings, great savings! When you purchase a new Suzuki on 16th or 17th June* you can save £1000**. From our brand new Suzuki Swift to award-winning Suzuki Vitara, compact Suzuki Ignis and customer's favourite Suzuki Baleno, you can save £1000 on top of any existing offers on all of these cars! Sounds great? Book an appointment to avoid any disappointment. Send us an enquiry here or give us a call on 0191 295 0099. This offer (“Offer”) is open only to private retail customers who are resident in the United Kingdom and aged 18 years or over. This offer is not available with the Suzuki Swift Sport or Suzuki Celerio. Subject to compliance with these terms and conditions, eligible participants will receive a discount of £1000 (including VAT) applied to the list price of a new Suzuki road car (excluding the Suzuki Swift Sport and Suzuki Celerio). This Offer is not available to those financing a vehicle which they will not own, so, while eligible Personal Contract Purchase (PCP), Hire Purchase and cash buyers may take advantage of this Offer, those financing a vehicle through a Personal Contract Hire (PCH) arrangement may not. This Offer it is not available to customers who purchase a vehicle through a membership, employee, supplier or partnership scheme unless otherwise stated. Business customers, employees (or family members of employees) of Suzuki, any Suzuki Authorised Dealership or their respective agents and affiliates may not participate in this Offer. 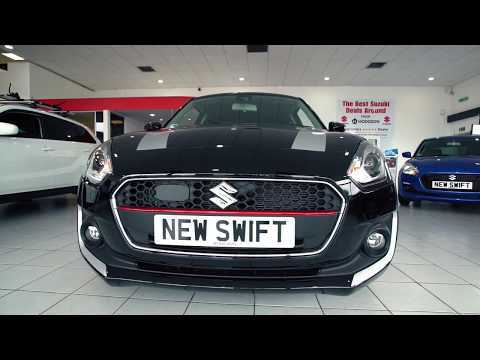 Place an order to purchase a new unregistered Suzuki road car (excluding the Suzuki Swift Sport and Suzuki Celerio) that is either in stock at a participating dealer or at Suzuki’s central repository from a participating dealer on Saturday 16 June or Sunday 17 June 2018 in Great Britain or Saturday 16 June in Northern Ireland. Privately register the eligible Suzuki by 30 June 2018. You must be the first registered owner of the eligible Suzuki vehicle which you have ordered. Other proof of eligibility may be required by the Promoter or participating dealer on request. This Offer can only be used in conjunction with selected current offers. You may not participate in this Offer more than once. There is no cash alternative. The Offer/discount is non-transferrable (and non-refundable if you return the new Suzuki). The Offer is available only from participating dealers. The opening hours of participating dealers may vary so please check with your local participating dealership ahead of time.